Constructed from recycled Mantis Tandem, 4130 tubing, 1080 tubing. Designed for heavy cargo hauling. 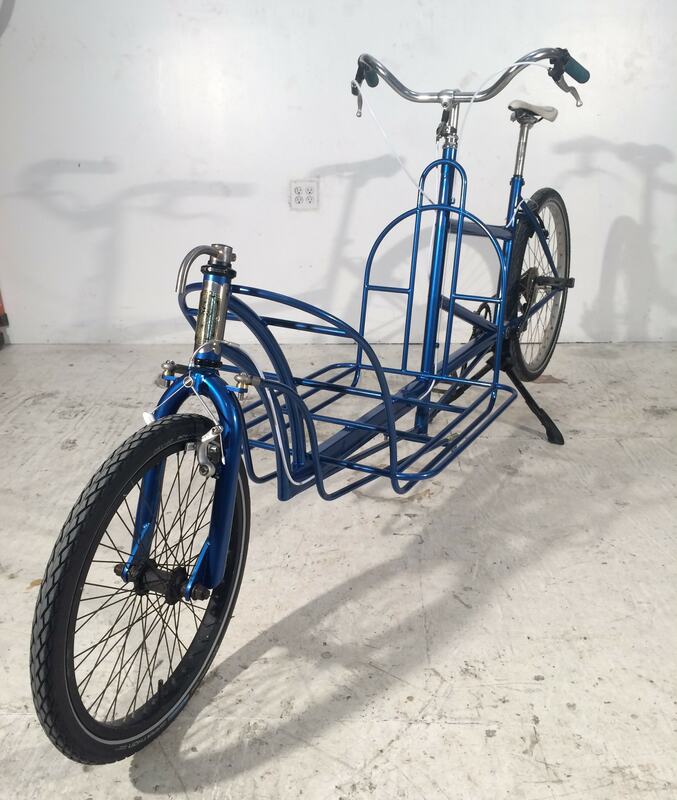 I'm a big fan of cargo bikes. I don't own a car or truck, and believe that "life-by-bike" is a motto for all occasions. 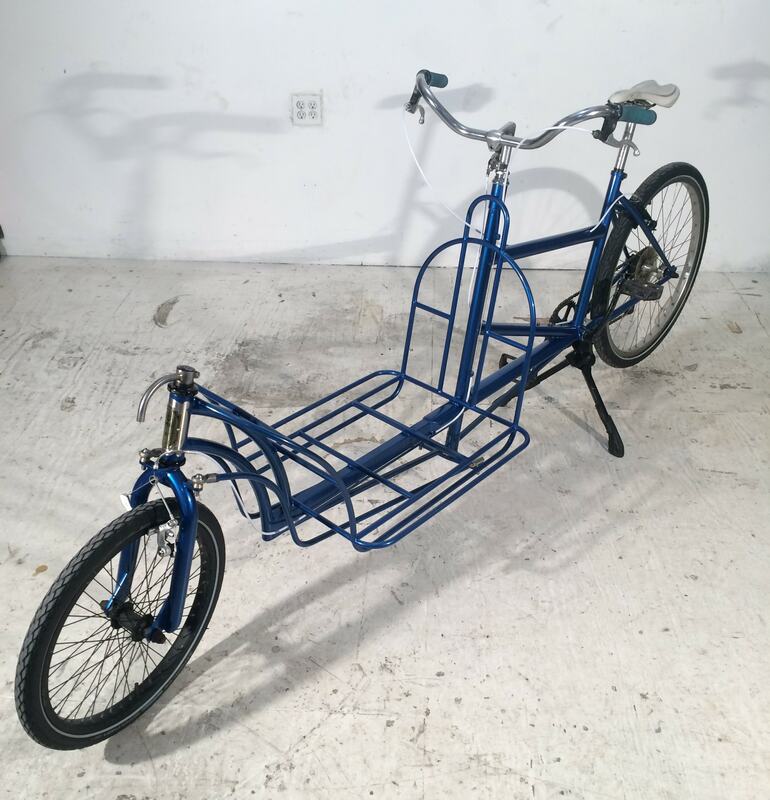 One day I found an abandoned Mantis Tandem frame, and eventually decided to cut off the front end, and rebuild it into a beast of a cargo bike. This is the result. The front bed offers ample room for Rubber-Made bins, or other heavy cargo items. The low deck height helps keep the cargo stable and easy to manage for the rider. Front and rear cantilever brakes offer the stopping power required for heavy loads, while a 1 x 9 multi-speed help carry the weight regardless of the terrain. 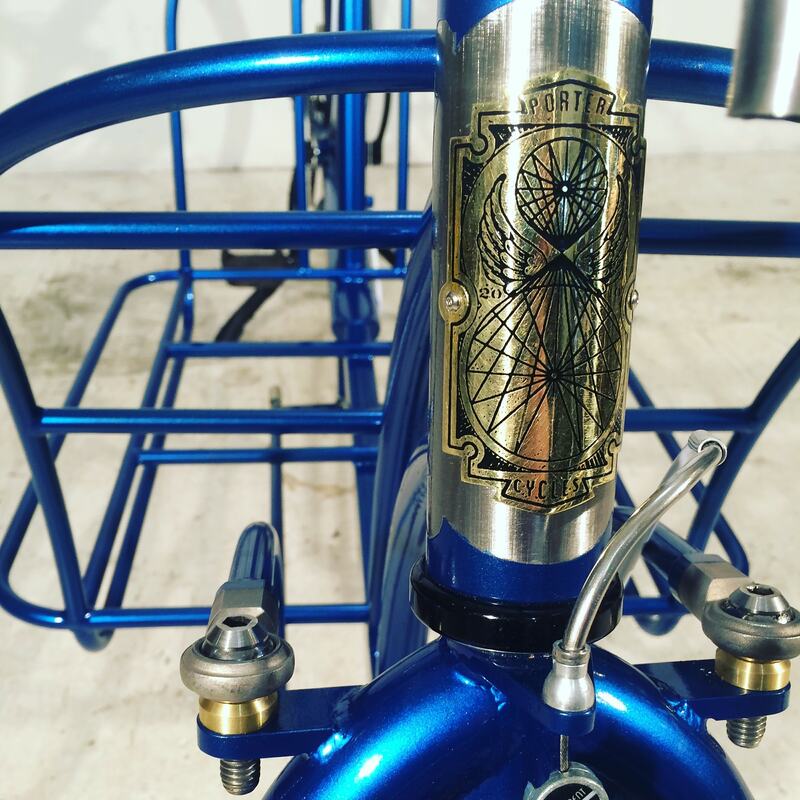 Double rod linkage steering means positive push/ pull leverage from the handles to the front fork, with an optimized ratio that translates a half turn of the handles to a 3/4 turn of the forks.